With so many distractions online fighting for your target audience's eyeballs, how do you create video ads and content that really cuts through the clutter? With multi-screening becoming so common these days, with people jumping from watching tv to their mobile devices during ad breaks, and with so much fighting for online eyeballs, how do you get attention? 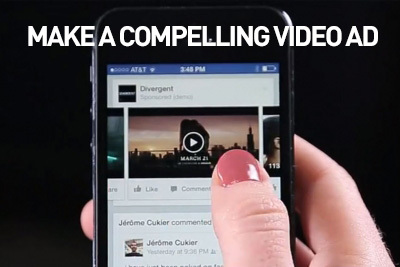 Brands today realize the importance of solid, entertaining, meaningful video content online. Today's platforms recognize the fact that people don't watch ads, or any content for that matter, unless it draws them out with compelling, creatively superior, and value-adding content. Google knows this, which is why their 'True View' is is 'built on the promise than you’ll only pay when someone chooses to watch your video ad'. Brands on YouTube have to really creative to grab and hold attention. True, that they don't have to pay when someone skips their ad, but then what's the point? Brands today have four ways (at least), to fight this attention deficit syndrome that consumers have. 1. Try for interaction and participation by making the viewer curious. Many brands are experimenting with interactive ads – online ads where the viewer actually immerses himself and experiences the ad rather than just watch, or worse, skip it. One of the most shared and memorable interactive ads is of course the Hunter Shoots the Bear ad which has 17 million views on YouTube. It is interactive, funny, engaging and totally, completely share worthy. There are several other examples. The Skittles interactive ad is ridiculously interactive and funny. The Hot Wheels ad is cool and is really an interactive game in a video. The Netflix Daredevil interactive banner is also a great example. 2. Tell a story and make it an interesting one. Whether its a story in a single video, or a series of ads that lead to the next 'episode' you can tell a really interesting story in your ads. This is a far cry from the quick "Buy Me, Buy Me" product ad. This route takes a whole new road – a road that the consumer finds that he or she wants to take – and hopefully enjoy the journey. Because there is a reward – an interest generating, absorbing tale being told. There's a compelling, absorbing multi-part story told and it is interactive as well – called 'Choose a Different Ending'. It is a great social campaign that draws the viewer in and it unfolds like a mini movie. Data and creativity are now intertwining and enabling brands to produce 'customized' and 'personalized' video ads aimed at a one-to-one audience. That's a whole ballpark away from the old tv broadcast ads aimed at the one-and-all audience. Personalized ads may be like the Coca Cola Share a Coke ad with the bottle with their name on it, or may be 'customized' to a micro-target geo location – making it totally contextual to viewers in a particular part of town, for example. Video ads in campaigns can also be created with extreme customization aimed at behavior and/or demographics. The Southwest airline one-to-one video is a fantastic example of personalization to the extreme. Regardless of how interesting your ads are, if they aren't being delivered in context, you won't get much mileage out of them. Often brands create just a typical ad for online which they deliver across all channels that video can be delivered in. The'll stick it on YouTube, on Facebook, put up an edit on Instagram, and of course use it for their online paid campaigns. That really doesn't work any more. People don't go on Facebook for the same reasons they check out YouTube. And the audiences are not the same on Instagram as they are on say, Google+. Respect that and build different ways to reach them. Even within an online campaign, the target audience needs to feel interested and compelled 'at that time' of viewing the ad to click on it and engage with it. Social media and online guru Gary Vaynerchuk highlights the importance of context in his post 'Content is King but Context is God'. It's quite clear, what he says: respect the platform and the audience, don't interrupt the experience and be consistent and self aware. Absolutely. If you are trying to engage a consumer with an ad about, say, the latest new model of your SUV, you really want to interrupt the viewer who is surfing the internet looking for tips on mascara? The net net of what you want to achieve is to get your message through to the right audience at the right time. Getting that message through has become difficult in today's attention deficit order of things online. Time and space are fragmented, every one is multi tasking, they aren't watching tv on tv any more, so you need to find ways to really cut through all that. The four ways to cut through all that clutter and distraction online are just simple ways to create compelling content, and breakthrouh ads. Let me know if you have more. And share this please.